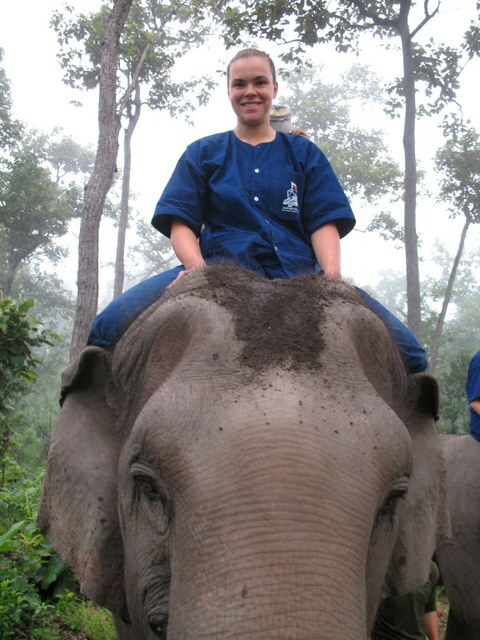 This entry was posted in Blogroll, Thailand 2007 by cmiller. Bookmark the permalink. Looks like you guys are having a blast! 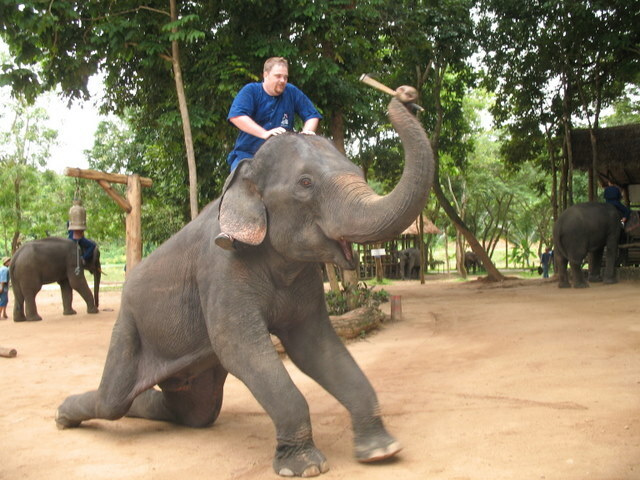 Fantastic pics of you on the elephant, too funny! I also really like the picture of all the food piled up incredibly on the guy’s transport vehicle (whatever the heck it is). I think I might have to go sometime! Amazing pics! Everybody at the office loved them! Just watched the video. Great expression on your face Chris!!! Still looks like a fantastic time! Sorry, I put your email address on a piece of paper somewhere and completely lost it, but I googled bubblemakers and luckily came to the right place. How is the travelling going? I have to say that I miss Look Khang. I got my painted hat back in one piece though, which was very important to me. I have a couple of photos of you guys, so we’ll have a to figure out a way to send them around. Hope things are going well (ps, I got massacred by bed bugs on my last night in Bangkok… still have the bite marks. Nice).